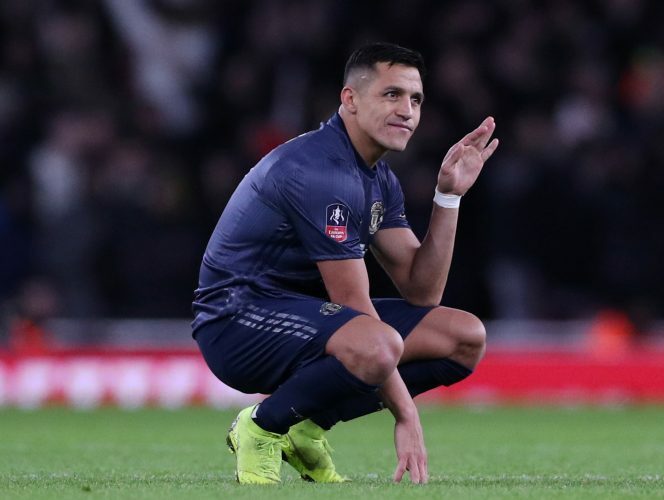 Alexis Sanchez was a popular man on the weekend, as he returned to the Emirates for some FA Cup action, but this time as a Manchester United player. The Chilean international was part of Ole Gunnar Solskjaer’s starting XI for the big game, which eventually saw the away side emerging victorious with a scoreline of 3-1. Sanchez was heavily involved in the proceedings, as it was his brilliant finish that gave his team the lead in the first half, after a brilliant Lukaku assist set him up perfectly. The player was not given the warmest of welcomes at the ground where he was once truly loved, a reception that might have given him further incentive to play better and find the back of the net. It was the 30-year-old’s first return to the Emirates since his switch last year, and his performance left the internet talking and the Red Devils’ fans chanting his name louder than ever before. However, the fun did not end on the pitch, as Sanchez took things a step further to have a dig at his previous club. He managed to mock Arsenal on Instagram, as he used his dog’s account, @atomhumberoficia1 to upload a photo that had banter written all over it. The photo is a poster of Will Smith’s ‘I Am Legend’, with Sanchez replacing the hero and his dogs present next to him, while the title is modified to read ‘I Am Back’. If United fans had any doubt as to Sanchez’s commitment to the club, this surely makes it go away.